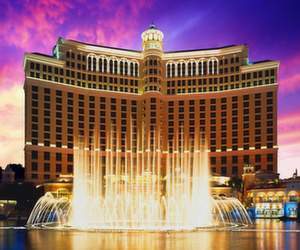 There are more Las Vegas hotel wedding packages than one could imagine! You can have any wedding you like: classy, intimate, themed, extravagant and even hilarious. 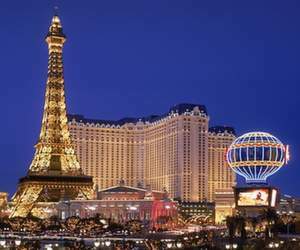 Below is my selection of the most interesting wedding packages offered by Las Vegas resorts and casinos. The Juno Garde at Caesar's Palace is an elegant, luxurious venue for weddings. With tropical landscaping and classic Roman architecture, it is a gorgeous outdoor venue for those who want a romantic wedding. The Juno Garden accommodates 100 guests. Classico is an elegant chapel that can accommodate 196 guests and offers classic Las Vegas hotel wedding packages for couples who prefer a traditional wedding. Classico features a lot of classic features like stained glass windows and grand chandeliers. It also has a classic color scheme that never goes out of style. Romano is a smaller wedding venue that is ideal for intimate weddings. With a seating capacity of 35, Romano has a very unique décor reminiscent of Roman weddings. This wedding venue offers the authentic look and feel of the romantic city of Rome. The Venus Gardencan accommodate as many as 114 guests in a truly sublime outdoor setting. Featuring elegant Roman architecture, beautiful flowers and palm trees, it is a relaxing and serene wedding venue. The stone tiled aisle and romantic fountain adds to the elegant appeal of this venue. 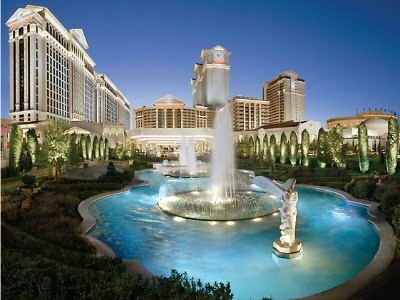 Tuscana at the Caesars Palace will transport the bride and groom along with 80 guests to the charm and grace of Tuscany. This grand wedding venue is romantic, charming and timelessly classic. It helps create truly special fairy tale weddings. The Wedding Chapel at the Mandalay Bay has been one of the top wedding destinations in Las Vegas. This gorgeous venue is chic, stylish and very elegant. With neutral color scheme, elegant décor and attention to the smallest details, it is definitely a dream wedding venue. The Valley of the Falls offers a dreamy wedding venue with ample seating to accommodate all your guests. Created with a serene waterfall feature, this venue offers you the natural beauty you want indoors. The Swan Court at Mandalay Bay is a one of a kind wedding venue. With swans swimming around in a peaceful pond, it creates a truly intimate, romantic setting. The Swan Court is great for intimate weddings. For adventurous couples looking for a unique wedding, the Shark Reef offers a very different Las Vegas wedding package. The wedding venue will allow you to tie the knot surrounded by millions of gallons of water with sharks swimming around as witnesses to your special day. If you crave a beachside wedding, the Mandalay Beach is an ideal wedding venue. This venue offers you a romantic, private lagoon where you can tie the knot at sunset for lasting memories. The Mandalay Beach offers beautiful outdoor seating. 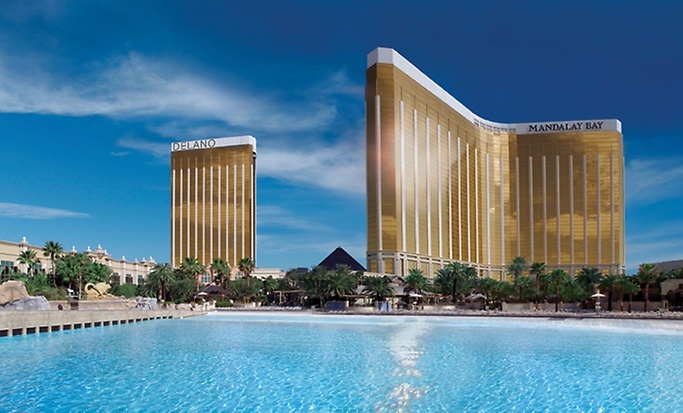 The Mandalay Bay Tower Suites offer you an upscale, trendy wedding venue. Offering beautiful views of the famous Vegas Strip, this venue is a dream for every resort lover. While not traditional in nature, this wedding venue offers something different for couples who want a unique wedding. Celebrate your wedding reception in style at the Mix Restaurant & Lounge. 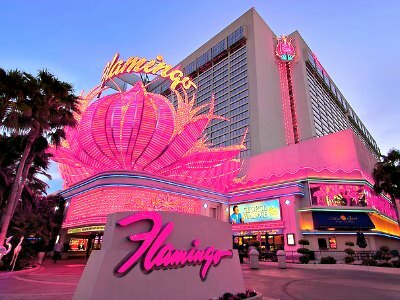 Located on top of the hotel, it offers spectacular views of the twinkling neon lights of Las Vegas. This reception venue has a very chic, sophisticated décor. For a truly cool wedding reception, try the Minus5 Ice Lounge at the Mandalay Hotel. Minus5 Ice lounge at Mandalay Bay Las Vegas hotel offers a unique wedding package in a chilling atmosphere in an ice décor. Provide your guests an experience they'll never forget in the heart of Las Vegas. The Moorea Beach Club offers the perfect setting for the bride and groom. Celebrate your special day right on the beach. With the sophistication and style of an upscale beach club, you'll have no room for complaints. The Garden Sanctuary allows you to escape the heady pace and noise of Las Vegas on your special day. Celebrate your wedding in a serene, peaceful venue in the midst of a tranquil garden. The Garden Sanctuary offers comfortable seating and gorgeous décor. The Foundation Room offers couples all the amenities they need to celebrate their wedding in style. This intimate wedding venue is elegant and classy. With gorgeous views of the city, it is definitely a very memorable venue. The South Wedding Chapel at the Bellagio can accommodate 130 guests. Featuring elegant décor and delicate color schemes, this chapel is romantic as well as luxurious. It features graceful chandeliers and beautiful architectural details for a spectacular backdrop. The East Wedding Chapel is ideal for intimate weddings. Seating 30 guests, this is a charming and romantic chapel with lush draperies, Italian stained glass windows and gold leaf décor. It has a traditional décor theme. Celebrate your wedding on a romantic Italian balcony at Terrazza di Sogno at the Bellagio. Accommodating 34 guests, this magnificent terrace features marble floors, beautiful blue waves and warm golden walls. Gorgeous floral arrangements complete the romantic look . The Fountain Courtyard features breathtaking Tuscan landscape and an intimate atmosphere that makes it a dream come true for brides and grooms looking for a memorable Las Vegas wedding package. Accommodating 10 guests, this intimate wedding venue offers a truly stunning setting for dream weddings. The Tropicana Wedding Chapel can accommodate 100 guests and offers a tropical themed venue that feels like a destination wedding. Couples can personalize the venue with floral arrangements, petals and other accents of their choice. The venue has several interesting details such as plantation shutters, palms and skylights. The Havana Room is an elegant space for wedding ceremonies as well as receptions. Featuring top of the line technology for receptions, it has a very modern yet intimate feel. This is a truly gorgeous venue with dark stained floors and luxurious chandeliers. 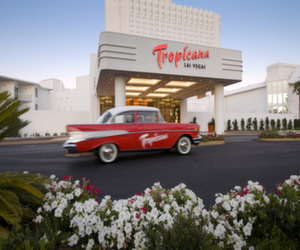 The Tropical Arbor offers an ideal outdoor Las Vegas wedding package. Accommodating 30 guests, this location allows you to tie the knot amid lush greenery and spectacular sunset. The location features a beautifully decorated archway and elegant décor. The Terrace offers spectacular views of the Vegas Strip and enough space to accommodate 150 guests. Perfect for evening or night time weddings, you will be able to enjoy one of the most incredible views of the city. The Courtyard is an excellent destination for a garden wedding. Featuring magnificent waterfalls and a romantic bridge, this is a truly spectacular location. The venue also has lush greenery and gorgeous flowers for a tropical feel. Celebrate your wedding on the beach, under an elegant gazebo right on the beach. The Beach Club can accommodate as many as 200 guests. It offers beautiful views of the water and romantic candle lighting for a memorable wedding. Chapelle du Paradis offers a traditional but luxurious setting for fairy tale weddings. The venue accommodates 90 guests and has a cathedral style décor. It features angelic cherubs, painted ceilings, ornate décor and grand chandeliers. Chapelle du Jardin at the Paris Hotel is suitable for intimate weddings. It accommodates 30 guests and has a modern but elegant décor. The chapel features glimmering crystal chandeliers and stunning color tones. Celebrate your wedding in a truly spectacular location at the Eiffel Tower Observation Deck. This is a romantic venue accommodating 12 guests. Enjoy breathtaking views of the Vegas Strip from 460 feet up in the air. The In Suite Package at the Paris Hotel has an ideal intimate, private wedding package ceremony or vow renewals. If you are looking for something simple but elegant, the Paris Hotel can arrange for a private ceremony right in your hotel suite. The Chapel offers you a traditional setting for a truly grand wedding. For couples that want a memorable ceremony in a venue that is elegant and luxurious, this is the perfect venue. The Chapel can accommodate up to a 100 guests, based on the package you choose. For a unique wedding, the Excalibur's Medieval Wedding is an extravagant affair. 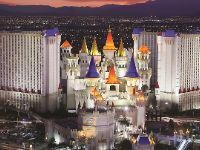 With spectacular renaissance bride and groom clothing and décor that is reminiscent of a real castle, this Las Vegas wedding package is truly special. The Garden Chapel at Flamingo is an indoor venue with a tropical theme. The chapel features a graceful décor with arched ceilings and elegant chandeliers. The venue accommodates 60 guests and offers complete privacy. The Gazebo Chapel accommodates 100 guests and is a serene venue for private ceremonies. Featuring trellised archways, this wedding venue is romantic as well as secluded. It has a gorgeous gazebo decorated with ivy and beautiful floral decorations. For a dramatic wedding, the Crescendo Pools offers a memorable setting. Featuring a waterfall and two pools, this venue accommodates 80 guests. The bride and groom exchange their vows facing the waterfall. Paradise Falls is deal for an intimate wedding in a grand setting. Designed as a natural habitat, it has a very serene and relaxing atmosphere. It accommodates up to 10 guests and features a spectacular waterfall in the background. Tie the knot at the incredible Chapel Falls at Flamingo. This secluded and quiet area may be small but it offers great informal LAs Vegas wedding package for less than 10 guests. It features a natural waterfall that will provide the perfect backdrop for wedding photographs.